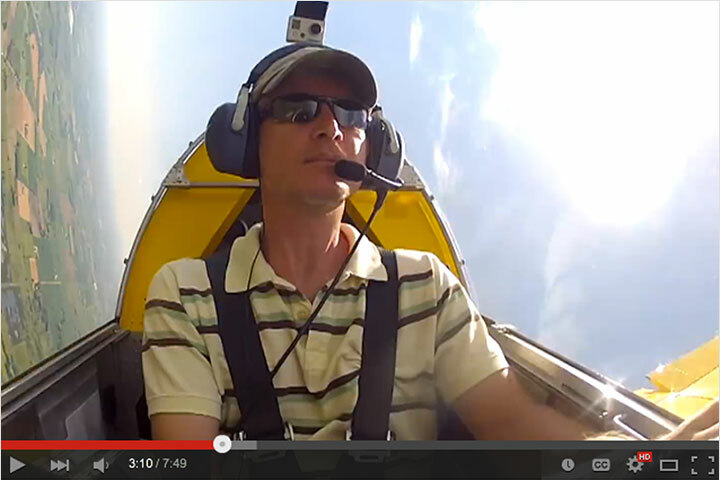 EAA Chapter 555 Give Flight Waiex Flies! 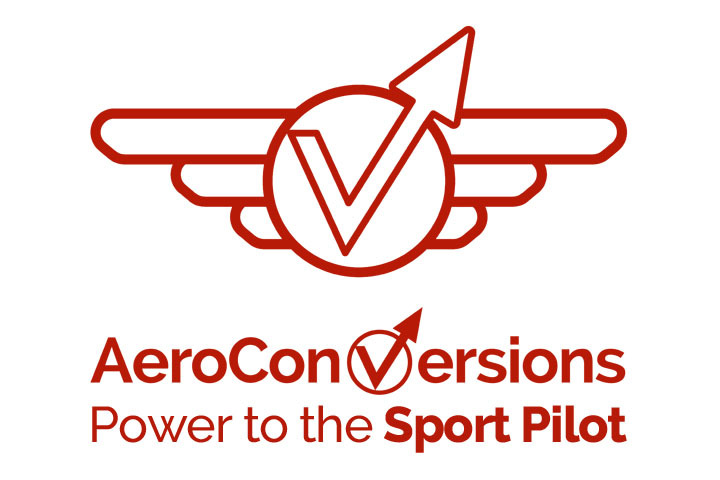 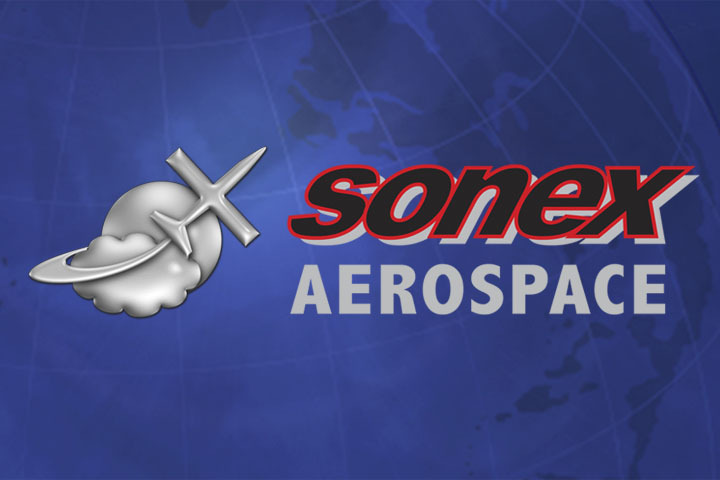 At AirVenture 2015, Sonex Aircraft donated a pair of wings to EAA’s Give Flight project, and those wings have now flown! “8:30 AM on August 18, chapter friend Mike Singleton flew our Give Flight Program Waiex for the very first time!” writes Wes Baker, president of EAA Chapter 555 in Las Cruces, NM. 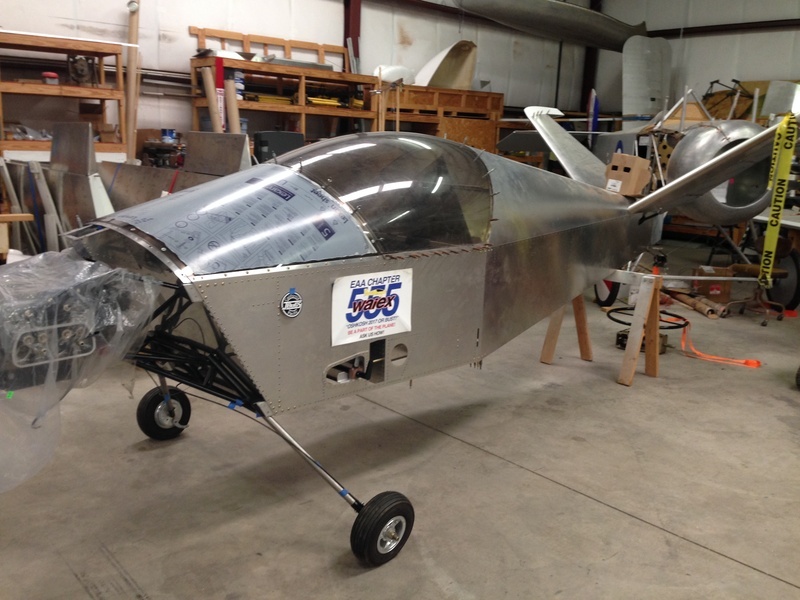 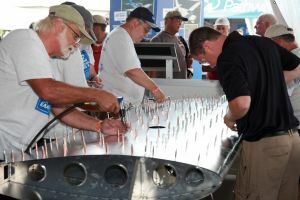 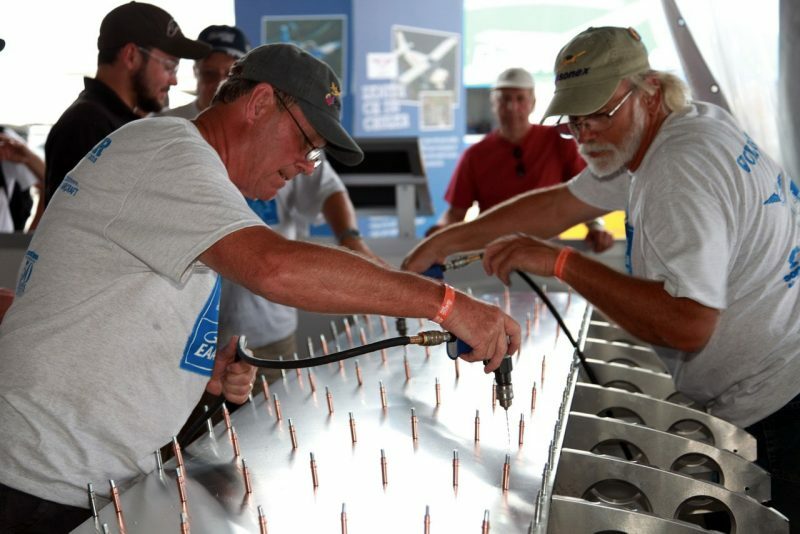 The wings were built during AirVenture 2015 by attendees and volunteers, closely supervised by Sonex staff, on the show’s central Celebration Way EAA tent, in the style of EAA One Week Wonder projects. 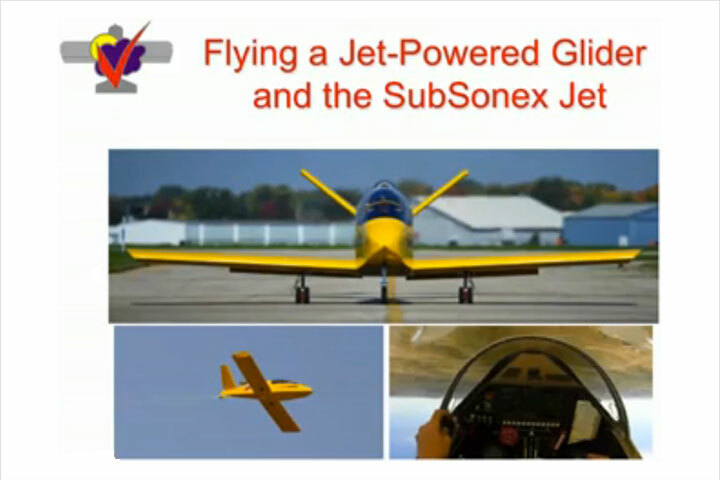 Charlie Becker, EAA’s director of chapters and communities & homebuilt community manager, said the Give Flight program was meant to shine a light on chapters’ ability to build an airplane together. 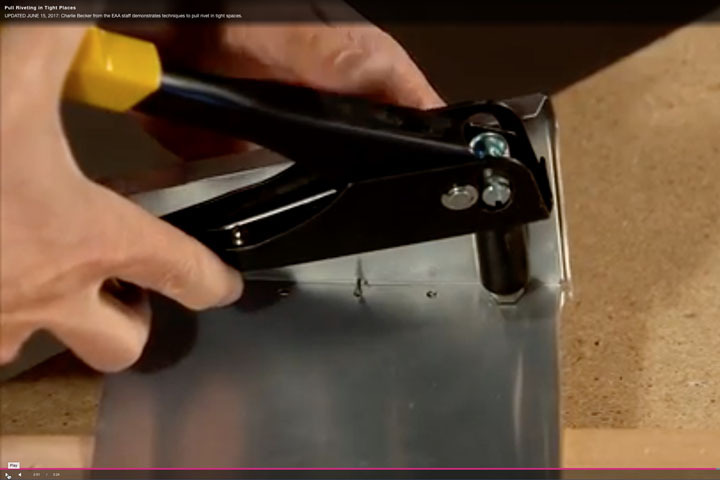 That’s exactly what will be done with the Waiex. Chapter 555 President Wes Baker, EAA 744727, said the airplane will be donated to a newly formed flying club that should serve as a gateway to getting more folks involved in aviation. 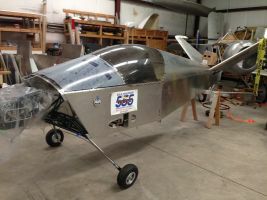 The Give Flight Waiex is built from kit S/N W0215, has a Standard Gear configuration and is AeroVee powered. 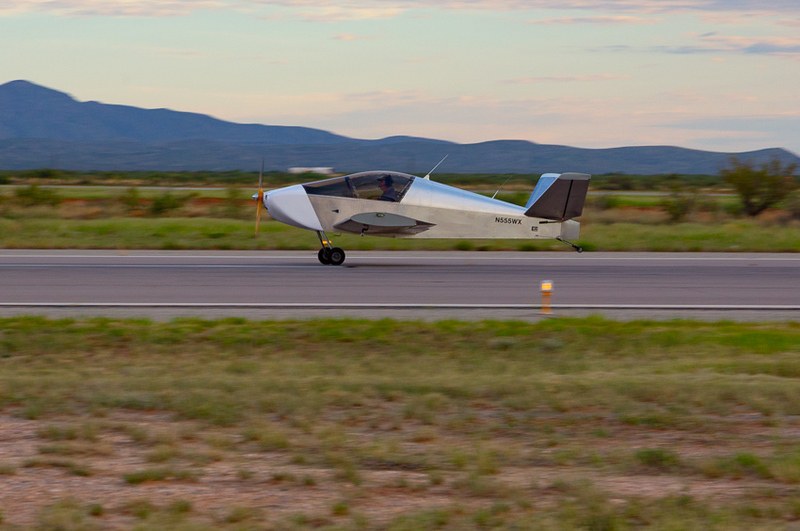 First Flight of Chapter 555's Give Flight Waiex! 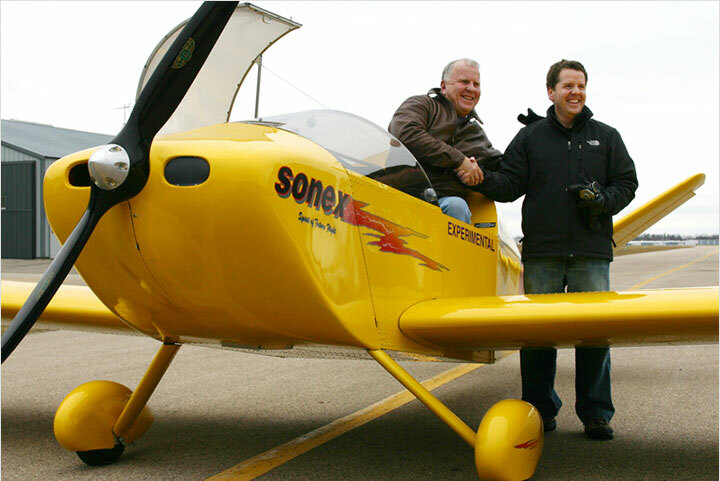 Sonex builder and experienced test pilot Mike Singleton (left) conducts the aircraft's first flight. 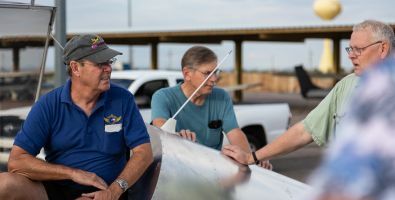 The Give Flight Waiex well-underway in Las Cruces, NM. 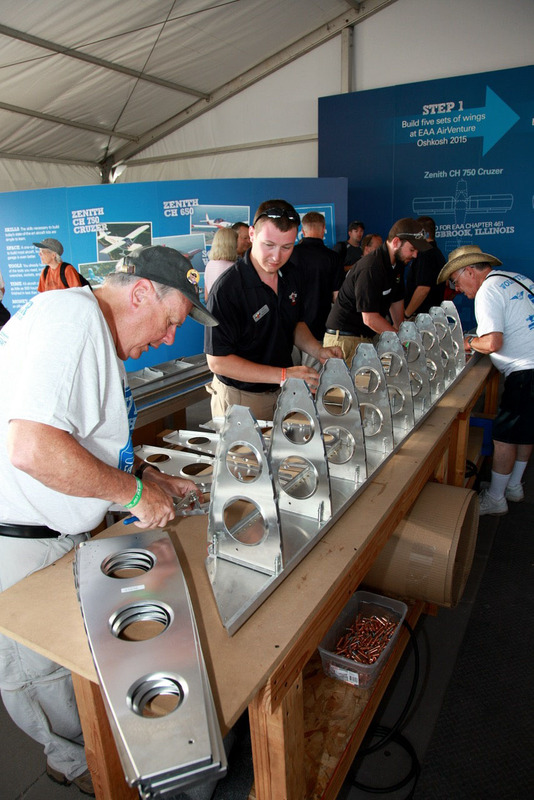 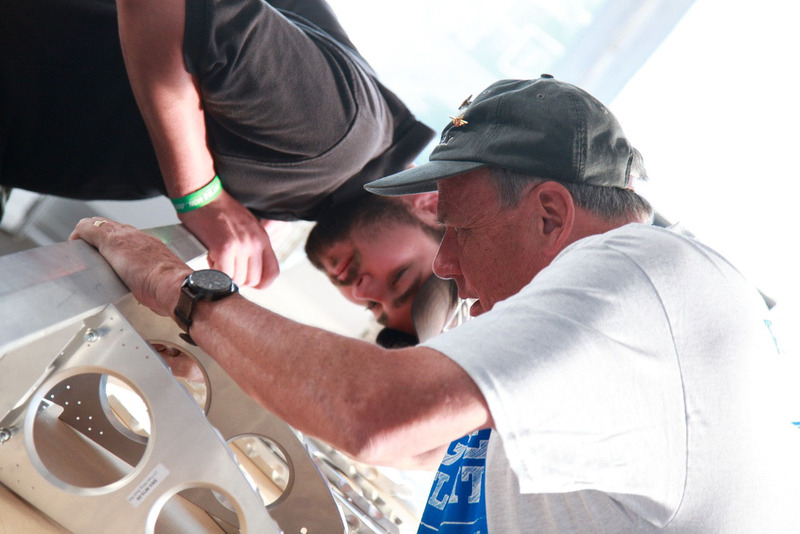 Give Flight Waiex wings being build in the EAA tent during AirVenture 2015.